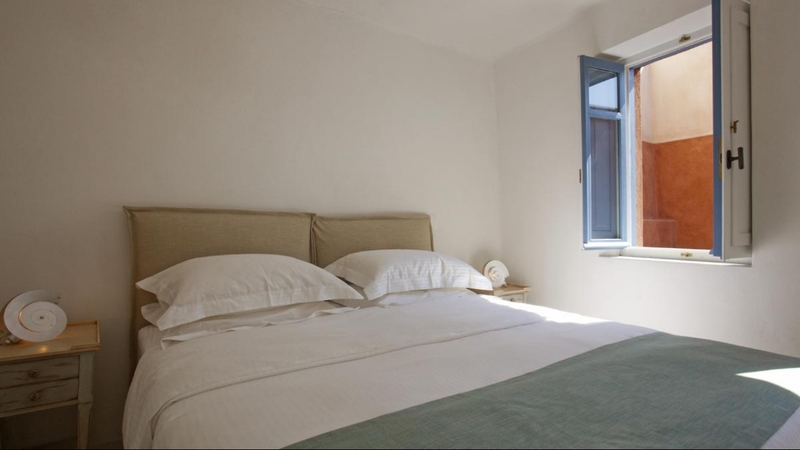 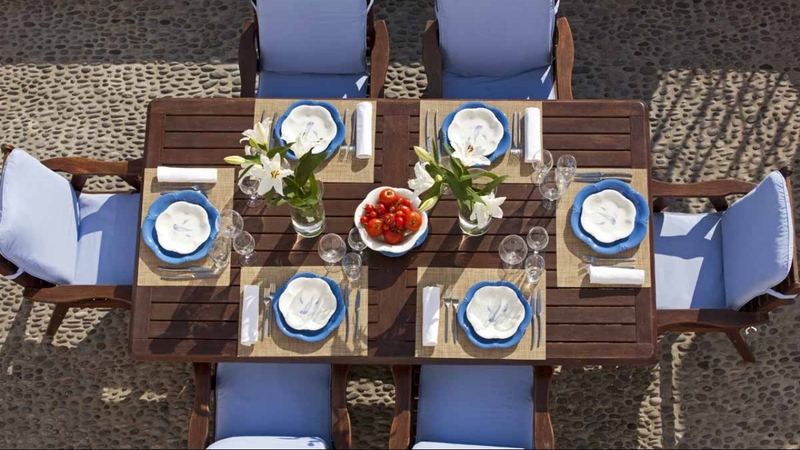 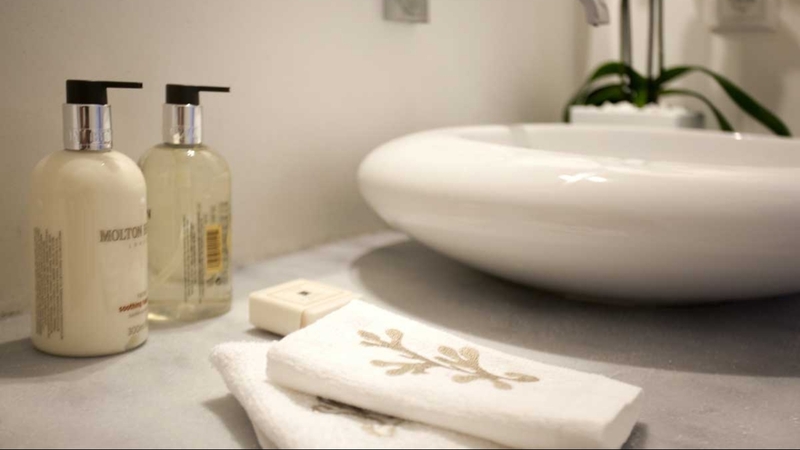 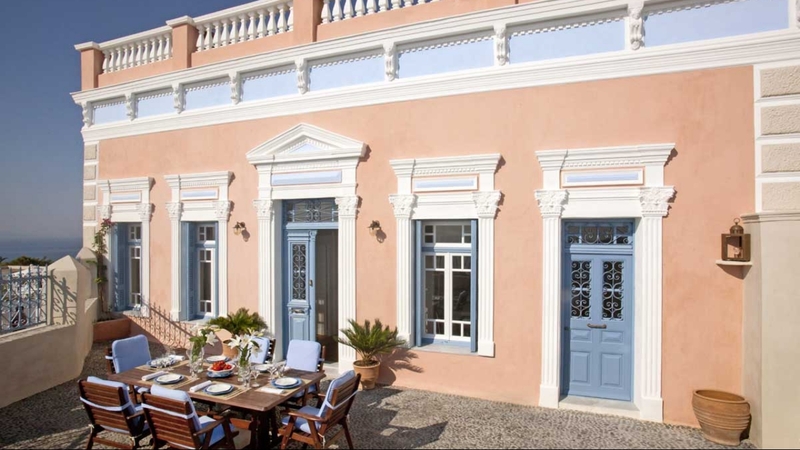 Oia Mansion is a landmark, a point of reference for the island; recently renovated, Oia Mansion retains its authentic glorious Sea-Captain house ambiance. 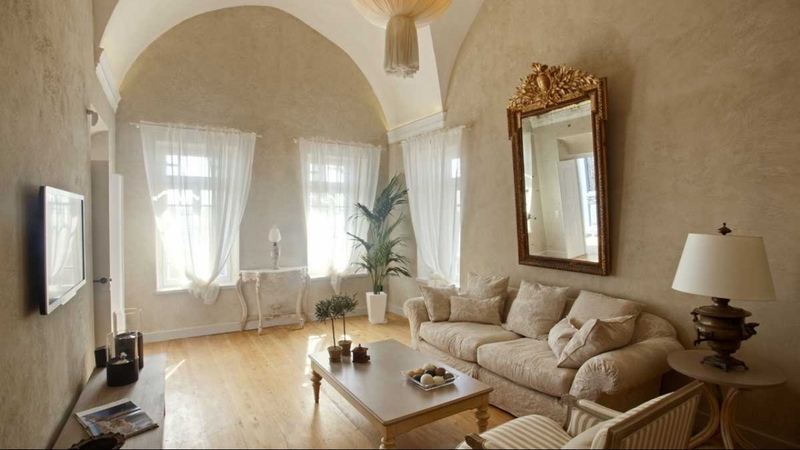 It has an ornamented facade, a spacious living room, vaulted ceilings, epoch chandeliers, hand-finished oak floors with the irregular size strips, rare antique furniture and Venetian mirrors etc. 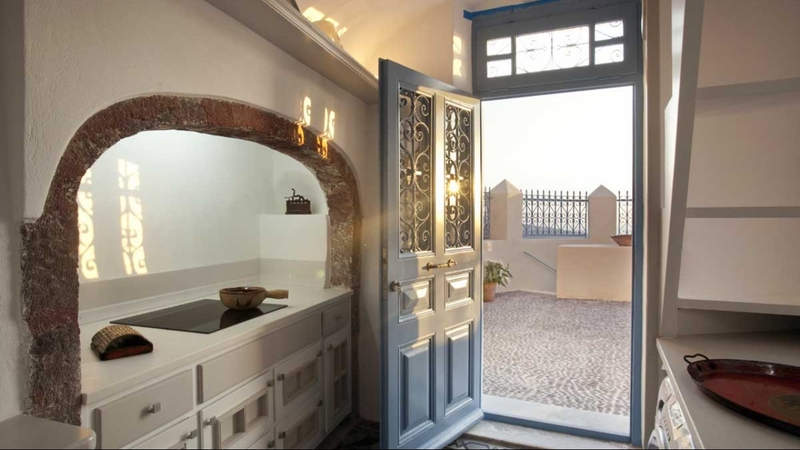 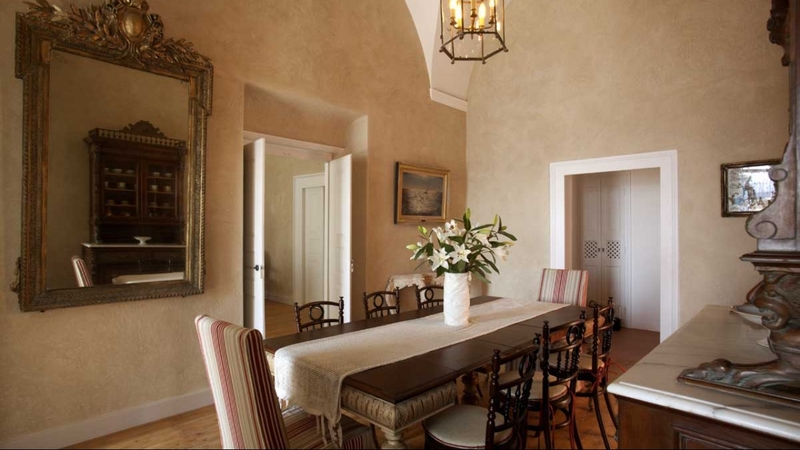 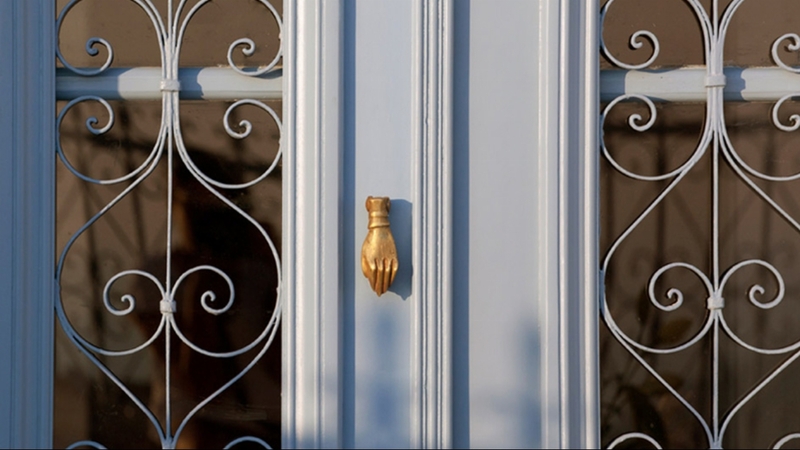 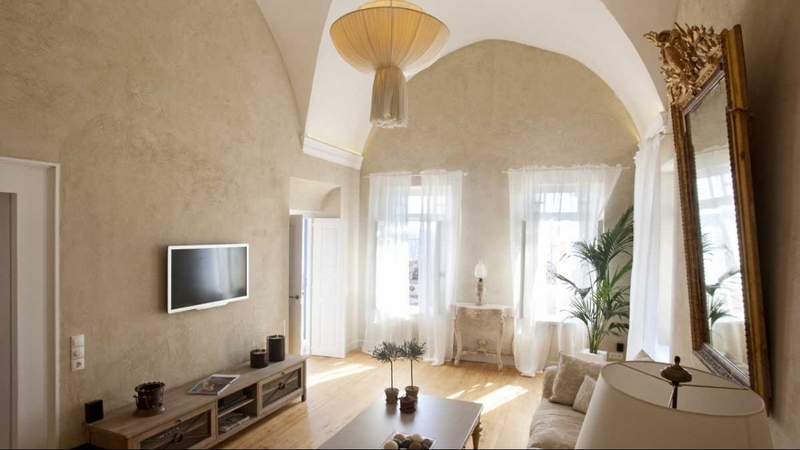 The recent renovation incorporates, in authentic yet contemporary manner, the island’s finest traditional architectural elements. 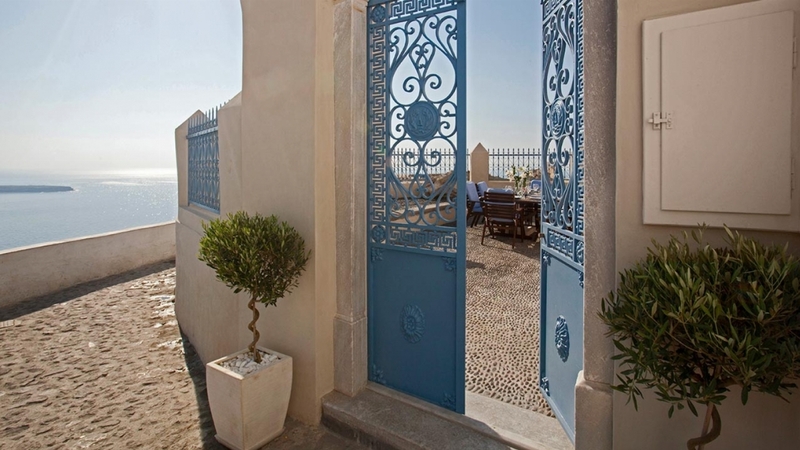 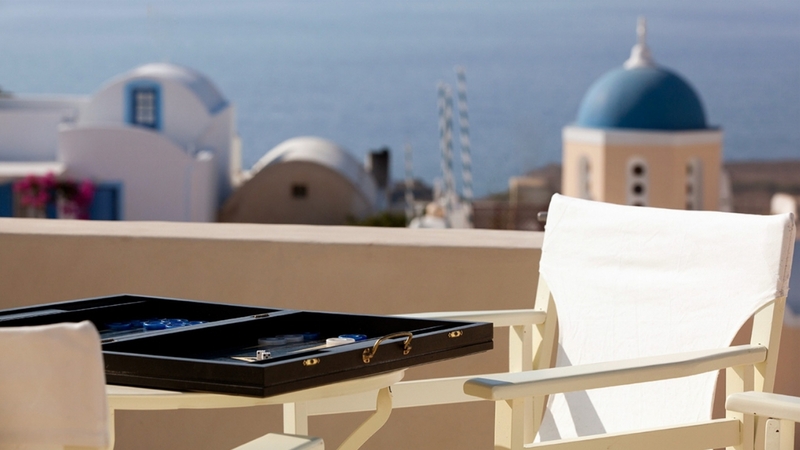 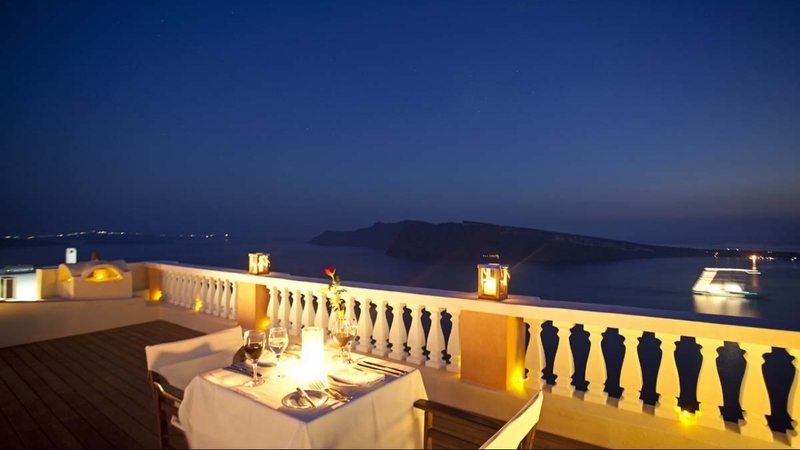 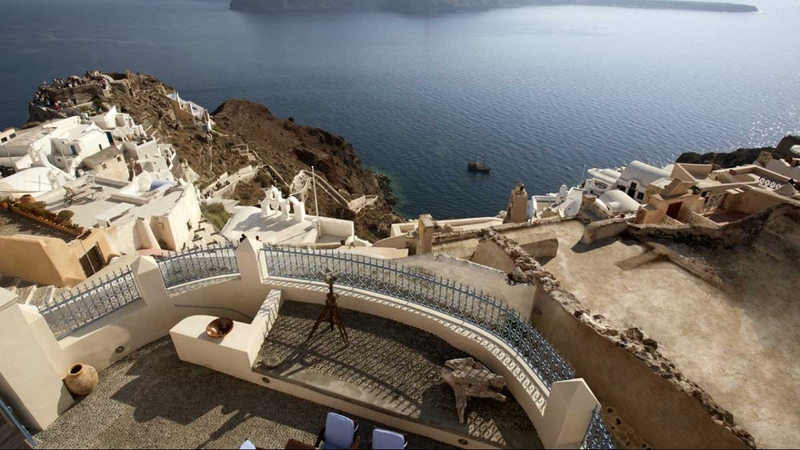 Oia Mansion is a large luxury house by island standards, around four hundred square meters. 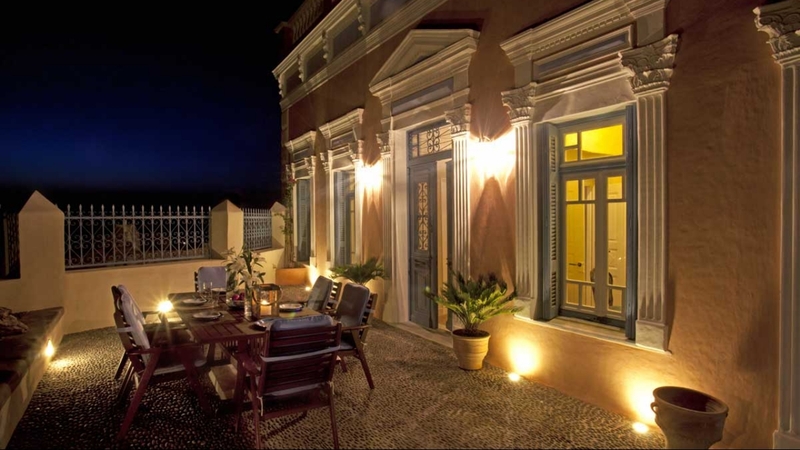 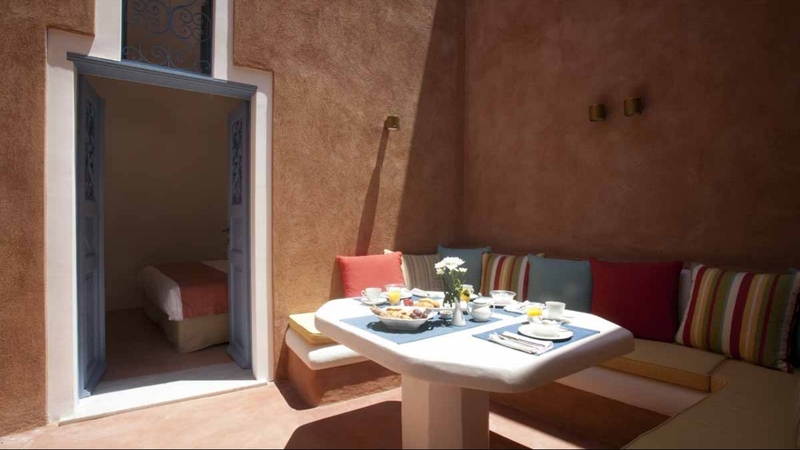 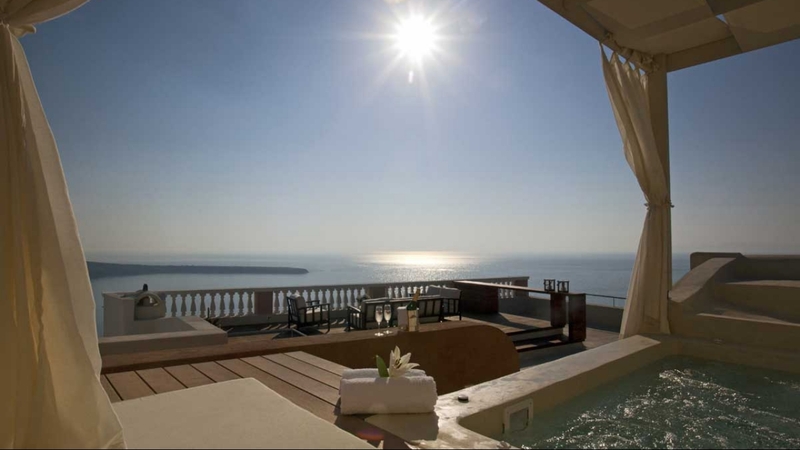 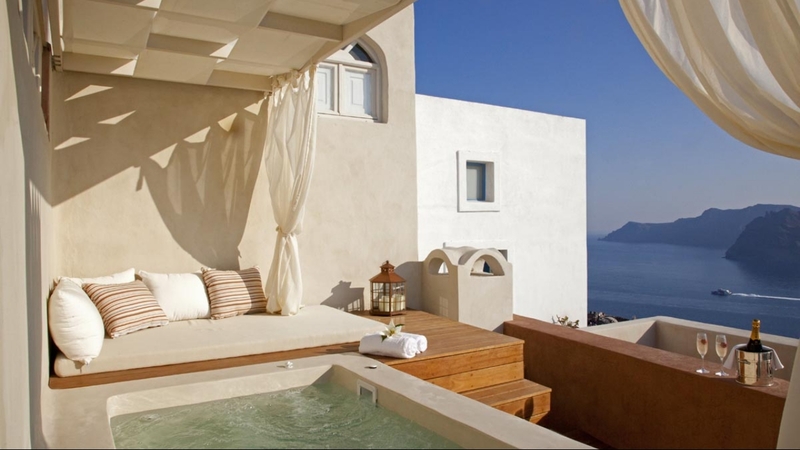 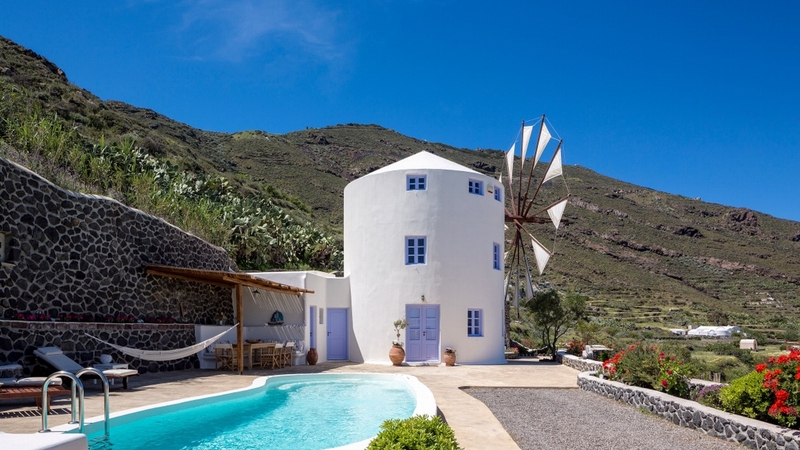 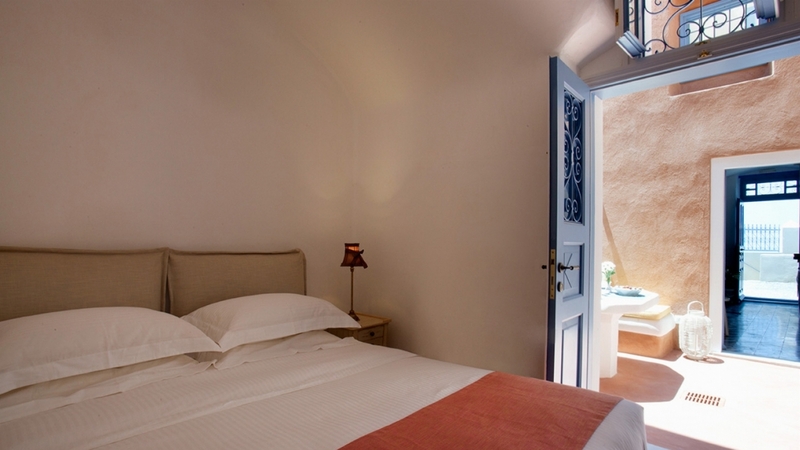 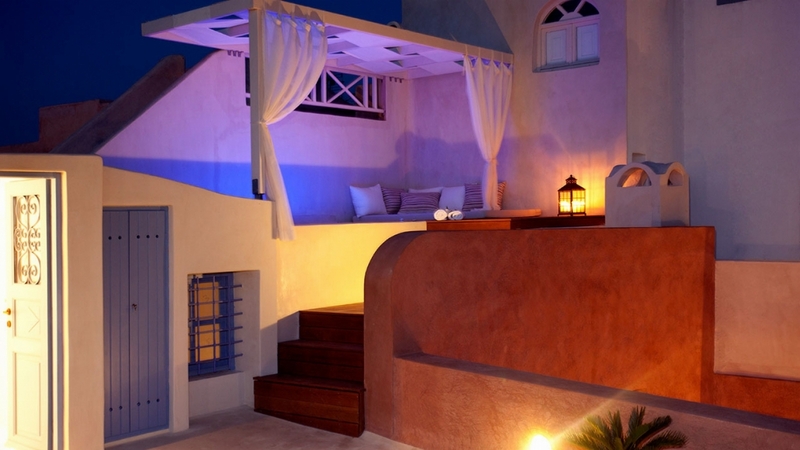 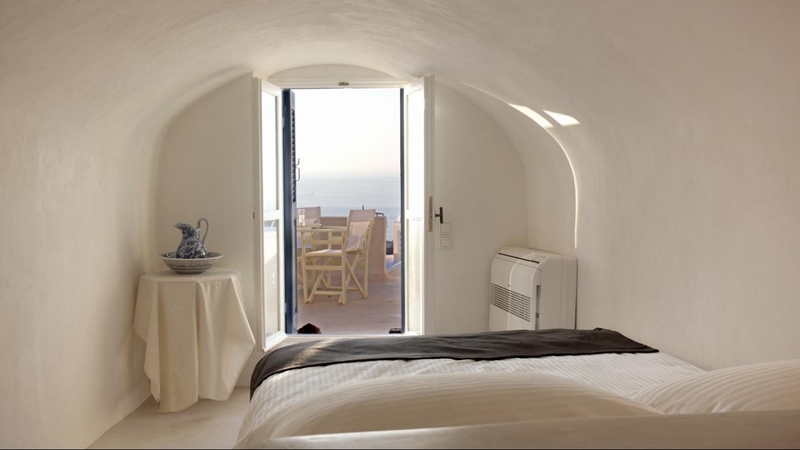 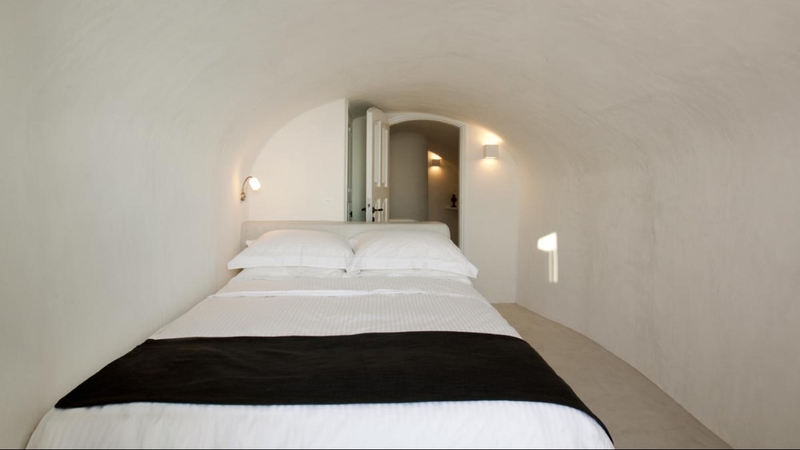 Oia Mansion comprises of five levels: ground floor, first floor, terrace, Jacuzzi level and basement. 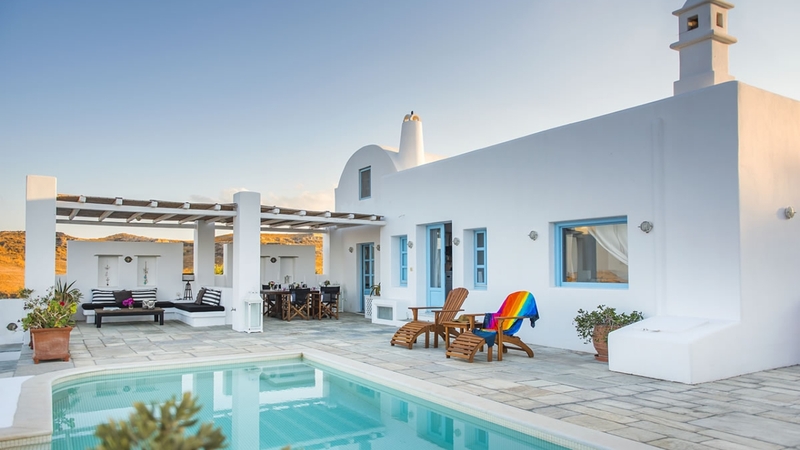 Over the years, distinguished guests among them, prominent politicians, prime ministers, ship-owners, international business personalities, intellectuals and family friends have enjoyed the generous hospitality of the owners. 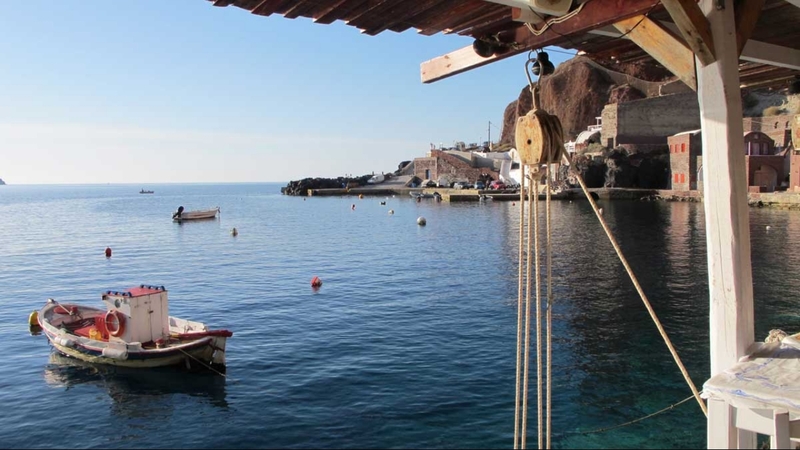 Recently: Hollywood blockbusters such as Summer Lovers (1980) and Lara Croft (2002) were filmed in the surrounding area. 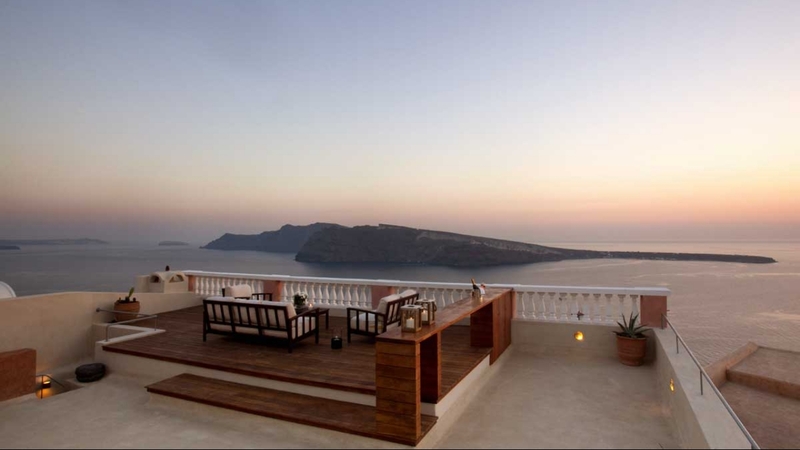 In August 2004 the NBC network, filmed the sunset off the terrace for a morning show.